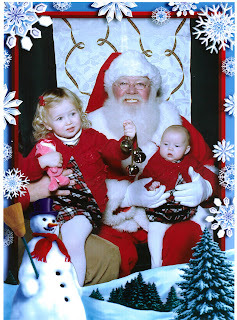 The White Hall Craigs: Santa! 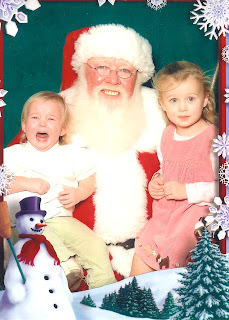 Aubrey and Molly 2007 - CLASSIC! What a difference a year makes... in so many ways! Is that the SAME Santa??? Very cute. I love both pictures. How is the house decorating coming? Yup, we have had the same Santa since 2004 when we started going! That is one good looking Santa! I LOVE the real beard! The girls are adorable.